I taught for 6 years. I loved teaching children. I love the creativity that SHOULD be a part of teaching. I loved making a difference. Things I did NOT love - the climate of education, the lack of discipline and accountability for children and parents, and the sole focus on accountability and standardization for teachers (creativity be d*mned). Teachers don't go into the field of education with expectations of high praise or salary. They do it for the lightbulb moments. The small successes. The hand-written notes and dandelions picked from the play yard. I took a step away from the classroom because it was the right choice for my growing family and I don't regret it one bit. All that said, during the past year in the wedding industry, I have received more thank-you cards and emails of gratitude than I did in my 6 years of teaching. That seems crazy backwards to me. I know we are all tired, we're all busy. But we need to be better about encouraging those we interact with. I've tried to internalize this and challenge myself to express gratitude more often. This world needs a little more that! Our brides are awesome. Kristen is one of the sweet brides we had the pleasure of working with last year. Through email and in person, Kristen was patient, flexible, and thankful. 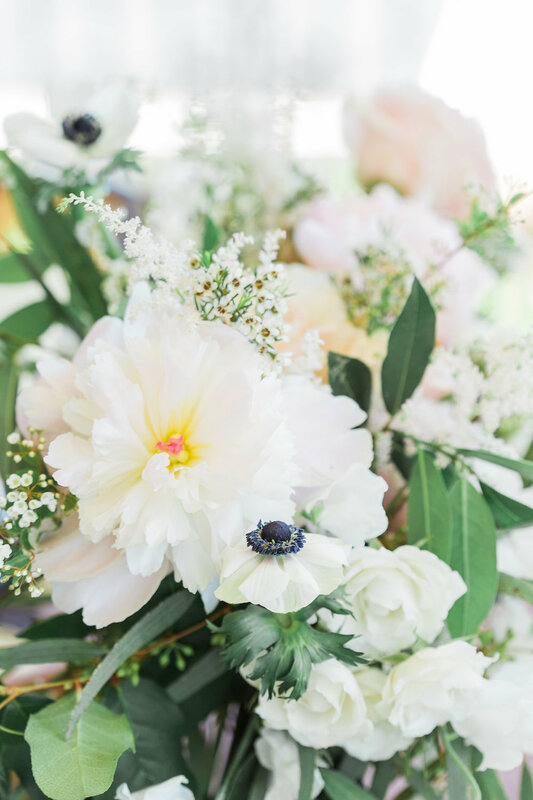 The love celebrated on her big day was artfully captured in these photos by Libelle Photography. This wedding was absolutely breathtaking. Every sweet detail precisely designed and implemented. We are thrilled to share these photos with you. She exudes joy. Her smile is contagious. She expresses gratitude. We could all afford all be more like Kristen. This floral design by Jennifer at Virtu is exquisite. Vintage library table for their planting unity ceremony. More info on Benjamin, please! Rustic Side Table for a welcoming hydration station. To display beautiful creations by Sweet Creations by Candi. Back to the reason for my digression into the broken climate of education. Our world has enough darkness. We're all fighting our own battles. Thank you to those that are shining their light, sharing their joy, and lifting people up. We all need to hear words of affirmation. This year I'm challenging myself (is it too late for resolutions?) to put my gratitude into words, to say "I love you" more, to pay it forward. I hope you'll do the same! Whether it's a quick compliment to a stranger or an email to your child's teacher thanking them for the hard work they put in each day - words matter. You CAN make a difference. Be the bright spot in someone's day. I promise it'll brighten yours too! .... a few more that are too pretty not to share. I really can't get enough of this gorgeous day! Best wishes to this sweet Mr. & Mrs.!